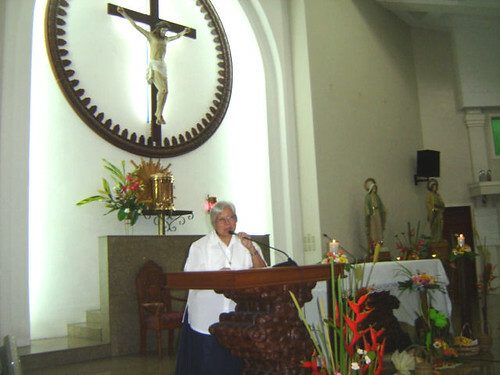 Sr. Aida Casambre RGS of the Centennial Committee thanks the presider of the Mass, Fr. Antonio de Castro SJ. She also invites those present to be at Bahay Ugnayan for snacks.